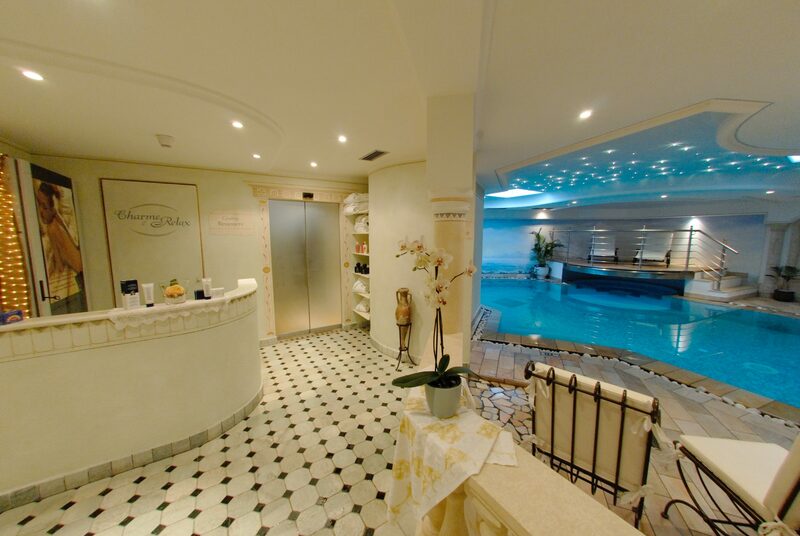 A holiday at our spa hotel in Trentino is a perfect occasion to do something good for your health, fitness and looks. After all, holidays are about making time for ourselves and treating our body to those healthy habits and rituals that the daily grind forces up to skip. This is why we wanted our 4-star hotel in Moena to have a spa & beauty centre: the “Charme & Relax” spa is indeed a big favourite among our guests. Conceived by expert designers in sync with latest trends, our spa centre revolves around a concept inspired by the ancient Roman baths to provide maximum well-being for the body and the mind. Born of cutting-edge technologies and built with natural materials, our spa centre complies with strictest health & safety criteria to guarantee maximum hygiene. 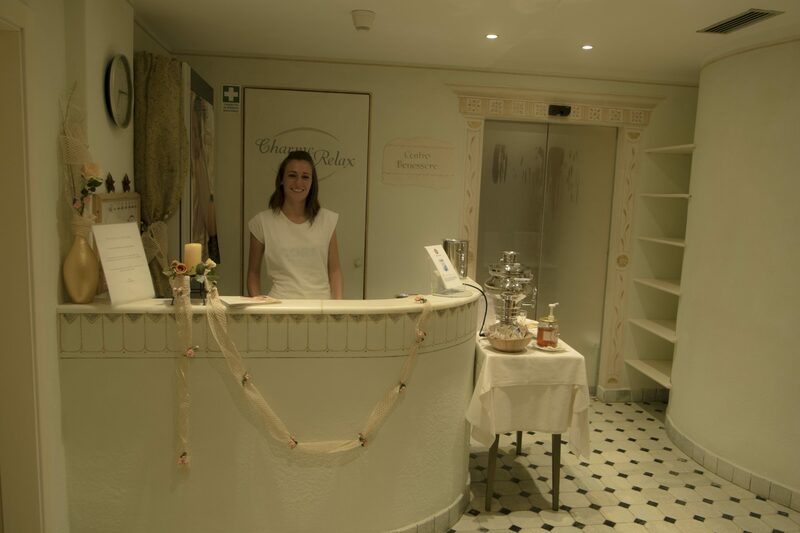 The spa centre is always attended by our personnel, who is in charge of guaranteeing compliance with H&S regulations on the one hand, and on the other hand is happy to provide advice on how to avail yourself of the facilities. To guarantee optimal hygiene, the centre is cleaned and disinfected top to bottom every day, by means of a specific antibacterial- and antifungal product certified by the Ministry of Health. Children may enter the swimmingpool and are allowed to wellness area only from 14 years old (children’s wellness set is also provided). Swimwear use is compulsory. We have conceived a special spa programme for you: the “Wellness Tour”, which takes about one hour and a half to complete, includes Finnish sauna, Roman sauna (Laconicum), Turkish bath (Calidarium), Frigidarium and Tepidarium. We will be giving you full details when we meet at the spa reception. Please consider that use of the bathing costume is compulsory; however, sarongs in natural sponge are available for guests who prefer to enter the sauna unclothed. Our Finnish sauna is a cure-all. The high temperature triggers the body’s thermoregulation processes, resulting in intense perspiration. This way, skin pores open up and facilitate the elimination of toxins, with benefits for the muscles and the cardiovascular system. 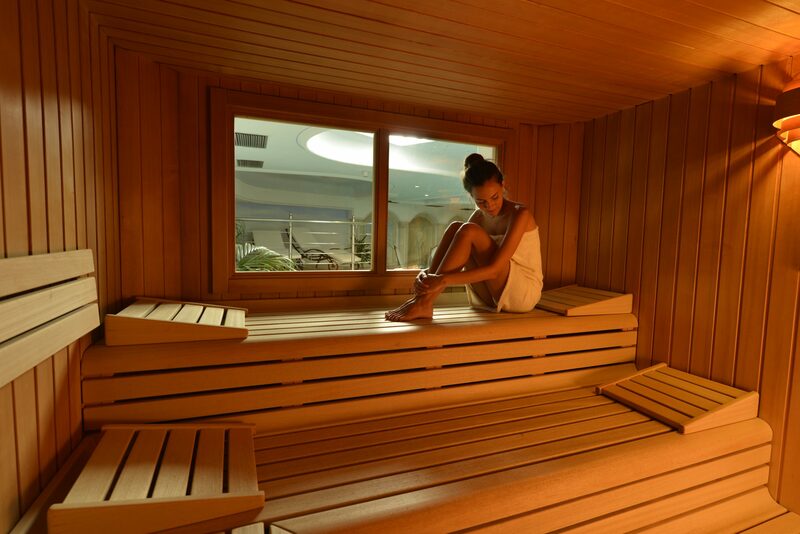 The dry sauna climate is also ideal to relieve chronic rheumatism and arthrosis, and is especially effective in stimulating the immune system thus preventing infections, flu and colds. After spending about 10-15 minutes in the Laconium, intense sweating sets in allowing for the detoxification of body tissues. Thanks to the natural transfer of heat, this treatment helps prevent and relieve a number of conditions, especially those affecting the digestive organs: liver, intestines, pancreas, and stomach. The Laconicum also relieves migraine as well as rheumatic- and menstrual pain. This bath is suitable for people of any age; recommended duration is about 35 minutes. Hot steam helps to regulate the skin pH, improving hydration and stimulating the cleansing processes. This bath also improves respiratory function. The steam is enriched with natural essences, making for a pleasurable and wholesome aromatic bath. The recommended duration is 15-20 minutes; the session may be repeated two or three times with 15 minute in-between breaks. 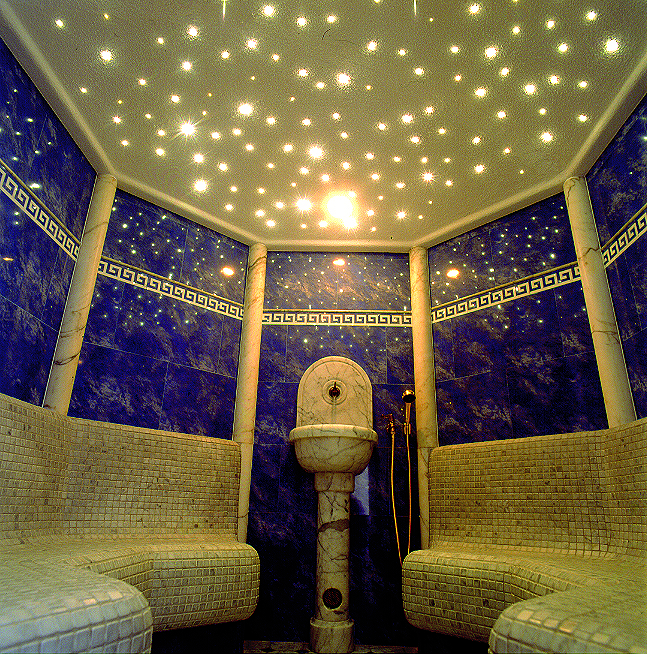 Cooling-off the body after a Sauna- or Turkish bath session stimulates blood circulation. This area features an ice fountain and a fjord shower. Revitalising cold mist shower: 5°C shower with mint essence, consisting in millions of atomized water particles associated with a relaxing colour-therapy programme (blue light). Tropical shower with passion fruit essence: hot shower associated with a colour-therapy programme (orange light). Revitalising full-body water massage – nine nozzles. The heated marble loungers warm up the body, creating a localised fever-like state that increases fat metabolism. To induce optimal relaxation, soothing lemon essences are diffused throughout the spa centre. 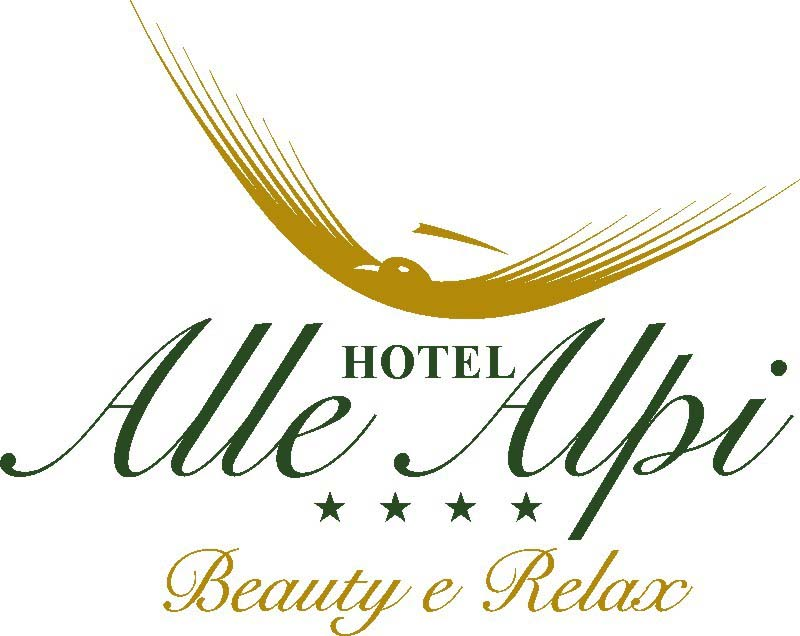 Nothing is left to chance here at the spa Hotel Alle Alpi!